i360 was established in 2001 as a Federal Government contractor specializing in Oracle applications and technology solutions and has been certified annually since our inception by Oracle Corp. and the Oracle Partner Network as an Oracle corporate alliance partner. Currently, i360 is certified as an Oracle Gold Partner. This is an ongoing recognition by Oracle Corp. of i360’s long-term corporate commitment, success, and proven capabilities consistently providing high-quality Oracle EBS applications, database, and SOA/middleware/technology solutions for our clients year after year. 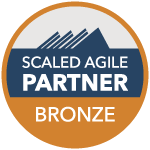 As a Scaled Agile Bronze Partner, we guide organizations in achieving business results through the full application of the Scaled Agile Framework for the Enterprise® (SAFe®). We have access to the latest SAFe® intellectual property, tools, and training resources giving us extensive capabilities and tools to support our clients' Lean-Agile/SAFe® initiatives. Our Scaled Agile Partner status also provides us with discounts on training licenses and courseware that we can pass on to our clients as an additional i360 value-add. We have a number of SAFe-certified team members including SAFe Program Consultants (SPC), SAFe Agilists (SA) and SAFe Scrum Masters (SSM). As an Infor Channel Partner, i360 sells and implements Infor's comprehensive suite of applications. These applications address federal agencies' operational needs and most pressing issues, including audit readiness, compliance, information and data security, property and asset lifecycle management, talent management, emergency response, and daily business operations. AGA is the member organization for government financial management professionals. Through training and events, professional certification, publications and ongoing education, AGA helps members build their skills and advance their careers. AGA is committed to increasing government accountability and transparency and has been instrumental in assisting with the development of accounting and auditing standards and in generating new concepts for the effective organization and administration of government financial management. Certified Government Financial Manager® (CGFM®) is a professional certification awarded by AGA, demonstrating competency in governmental accounting, auditing, financial reporting, internal controls and budgeting at the federal, state and local levels. i360 has a number of CGFMs on staff. We invest in and encourage our people to obtain CGFM certifications. Many of our consultants are PMP certified through the Project Management Institute (PMI). As PMI members, we have access to a vast collection of knowledge and career resources, local and global communities, and opportunities to grow and give back to the profession. Our management approach starts with a lean-agile mindset and is responsive and tailored to the needs of each client. Drawing on our breadth of experience using formal methodologies including the Program Management Body of Knowledge (PMBOK) and leveraging the inherent flexibility that lean-agile processes provide, we excel in the delivery of complex projects.